James River Catfishing at it's finest. Book a trip today! Fish Unlimited Guide Service, LLC is based in Richmond, Virginia for easy access to the prime Trophy Blue Catfishing spots on the James River. Or make an online payment now. If you contact us by Email and don't receive a reply back within 24 hours, please call us. Captain Chuck was a class act that resulted in boating multiple fish of my lifetime. Captain Chuck worked very hard to put TWO, fifty five pound blue cats in my hands. Chuck worked hard, was very polite, and made sure we had the trip of a lifetime. He maintained excellent equipment and paid attention to the details. If anyone is looking for the blue cat hotspot of the United States, you want the best guide in that area. Chuck is that person! Amazing.... 78lb big fish for the day. Also got a 72, 47, 40, 27, and 22lb. One hell of a day fishing. Fished with Capt Chuck 4 times now and always put citations in the boat with the biggest fish weighing 76lbs! This guy never gives up trying to put hogs in the boat! Captain chuck worked his A** off to get us fish this man just would not give up great guy amazing time highly recommend. Awesome guide works very hard to get u into the fish...highly recommend Fish Unlimited Guide Service!! Will be booking again! Thanks again Chuck! He was a real nice guy. I caught a 57 pound catfish, It was a blast. Captain Chuck put us on fish in very poor condition. Caught some nice fish he never stopped or gave up worked very hard to put us on fish on a day I thought we would have no luck at all. Thanks Chuck awesome job. Also I am an amputee he was so helpful in helping around the boat could not ask for a better guy! Captain Chuck is the man! Showed my father and I a great day of fishing that I will certainly never forget! Best experience I've had on a guided trip he went above and beyond my expectations. Thank you Chuck, we will certainly be seeing you again! 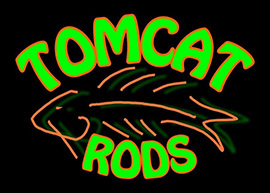 for a great selection of cat fishing gear!! Visit Pat's Sporting Goods for all of your hunting and fishing needs!!! 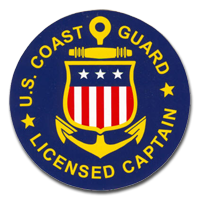 © 2018 Fish Unlimited Guide Service. All rights reserved.